The girls and I got caught in a most torrential rain storm this morning, leaving all of us soaked despite what felt like substantial rain gear. They demanded lunch as soon as we stepped into the house, despite it being 11:15AM and me still not being adequately caffeinated to face the day ahead. I fended them off for a while as I dug through the fridge trying to come up with a low-key lunch option. And then I remembered the split pea soup in the freezer! My tendency with soup is to make enough for 20 even though our household maxes out at 4. And its been worse since I bought a huge Le Creuset dutch oven a month ago. I usually regret this approach when I’m cooking because it does take longer to cook large portions. But I’m always grateful to have a full freezer of good food so the initial investment does pay off. 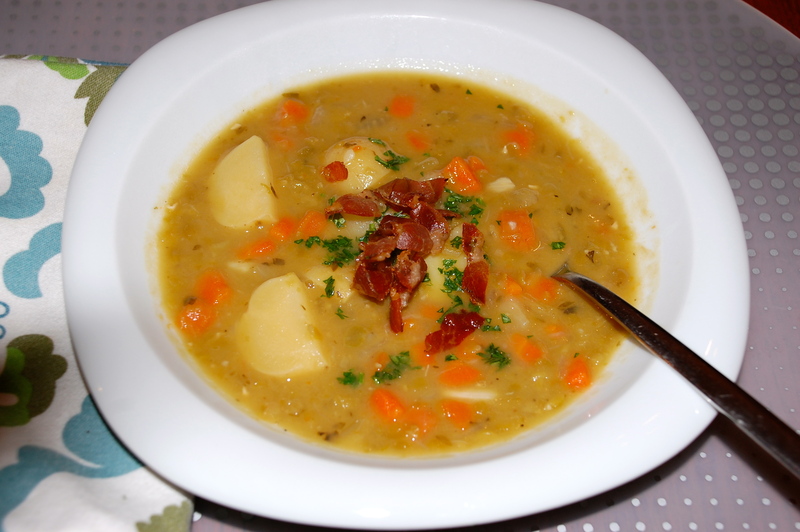 We love making split pea soup with potatoes – they add a wonderful texture to the soup and make it an even heartier meal. 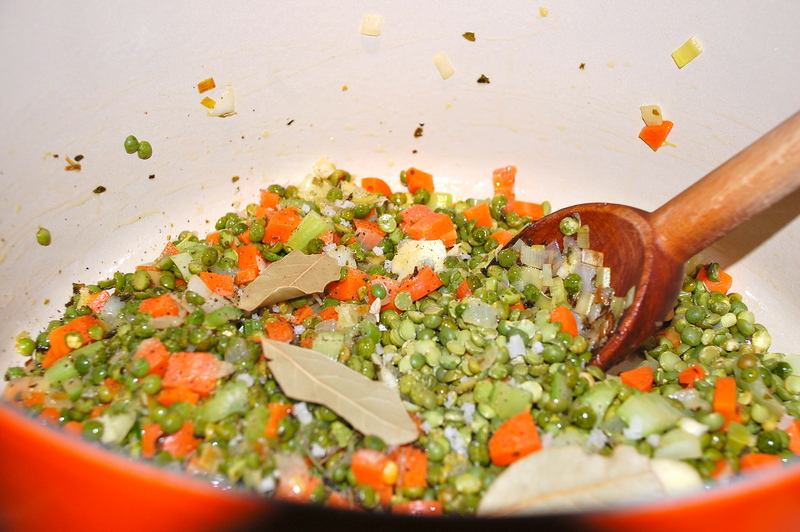 My version is vegetarian, so I rely on lots of oregano and bay leaf to create flavor. A friend turned me on to using smoked salt recently as a way of faking the smoky ham aroma (though you do see crispy pancetta bits on top of this one, just happened to have it on hand). 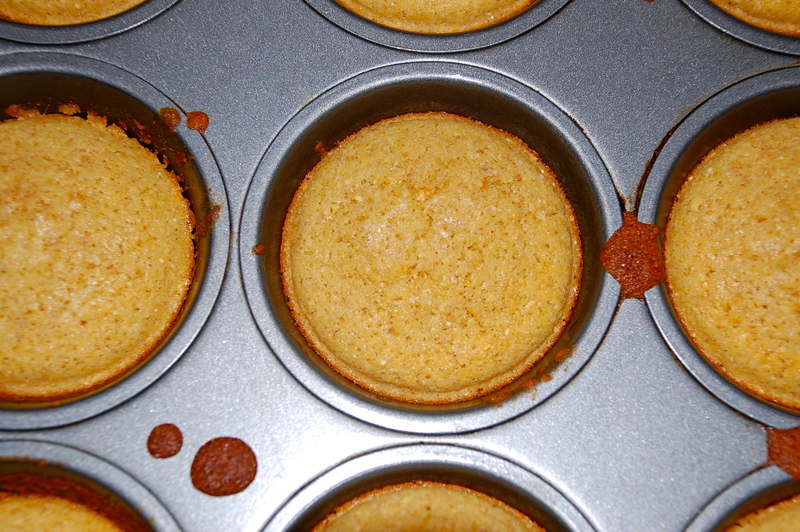 Years ago, Ava and I started making cornbread muffins alongside split pea soup. They make a wonderful accompaniment and only take about 20 minutes to make (including baking time) if you use a mix. In large soup pot, saute the onions and garlic with the olive oil, oregano, salt, and pepper over medium heat until the onions are translucent, 10 to 15 minutes. Add the carrots and celery then saute for 5 more minutes. Add bay leaves, potatoes, split peas, and water. Bring to a boil, then simmer 1.5-2 hours or until all the peas are soft. Stir frequently to keep the solids from burning on the bottom. 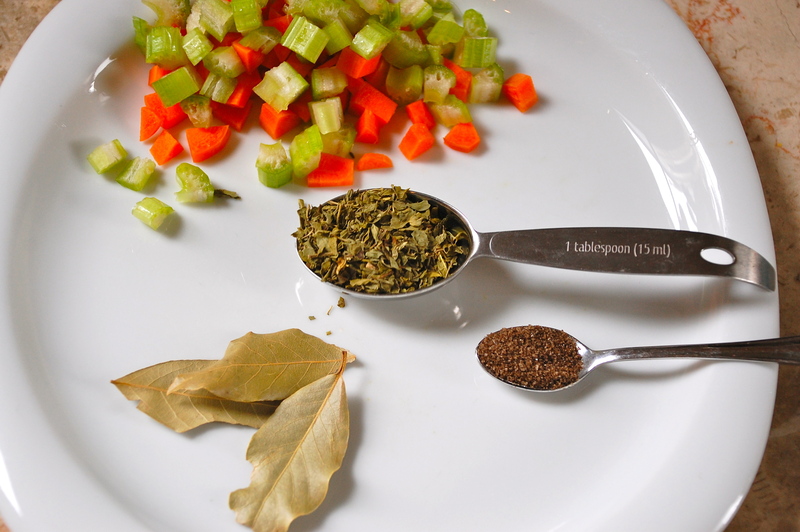 Taste for salt and pepper – this would be a good time to add smoked salt if you like. Serve hot with cornbread. And don’t forget to freeze some for a rainy day! I love split pea soup and it’s a staple in my household. I was inspired by this post to make some yesterday, and tried her addition of oregano. It really added to the flavor in a most unexpected way! Delicious. Thanks for the great tip! Yum. Beautiful photos for this wet day. Are there any restrictions on freezing soups? Do you store them in tupperware, and do you refrost in the microwave? Good question. I haven’t heard of any freezing restrictions, though you have to be careful with glass. I tend to use a safe plastic tupperware. I usually start the defrost either in the microwave or in hot water to release the frozen soup from the sides of the container but then finish on the stove. Its fine to microwave all the way too though! This looks great. Nothing like having a nice soup to warm you up.